Have you ever considered leasing a trade show display? Many companies don’t realize that this option exists and by using it you may be able to up your game and get into that larger multi-media Display that you always thought was out of reach! For example, if you currently have a 10×10 pop up display, but you know you really need an upgrade to stay ahead of the competition, now through our affordable Leasing options, you can upgrade to that 10x20 or 20x20 Display of your dreams! Leasing your trade show display can be beneficial for your business in many ways. First and foremost, equipment leasing allows companies an effective alternative to paying cash or leveraging your available credit to acquire this new Display equipment needed to grow their business. Amortizing the investment over several years as opposed to a heavy expense all in one budget cycle. Leasing evens out your cash flow by leaving you with one predictable low monthly payment allowing you to manage your business more effectively and leaving cash/credit for other expenses such as marketing or new product development. In addition, Exhibit leasing also includes a nice tax benefit. The equipment (trade show exhibit) is 100% tax deductible. As a corporation, you can deduct the full purchase price for equipment purchased or financed in the current tax year. 1. 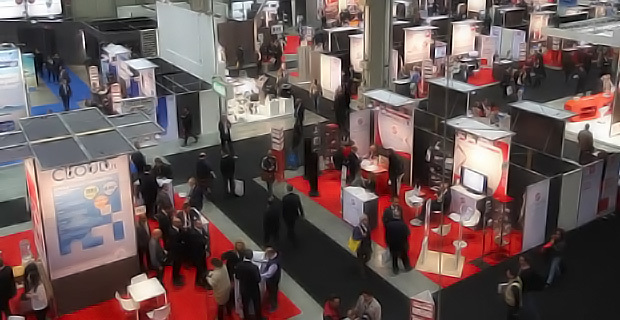 Will I own my trade show booth? Answer – Yes, most of our leases have a Lease to Ownoption built in so that you will own the equipment outright at the end of the lease for no more than 10% of the total value of the lease. For Example: If you purchase a $5,000 display on a 36 month term you will pay $500 at the end to own the booth. 2. Can I pay it off early? Answer – Yes, trade show display leases can be paid off early and unlike traditional finance there is no separation of principle and interest. Leasing offers one consistent low monthly payment that allows you to establish a predictable budget to maximize your profits and help grow your company. 3. What is the process to get started? Answer – Just call us todayand we can get the ball rolling, starting with an amazing design that will blow away the competition at your next trade show!